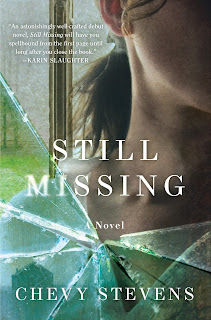 I recently read Still Missing by Chevy Stevens. If you haven't read it, run to your nearest book store and pick it up! I read this in one weekend and could not put it down. When I did put it down I couldn't stop thinking about it or talking about it with others. The book is fiction, but feels very real. 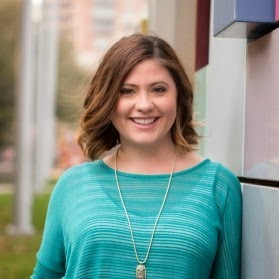 Description: On the day she was abducted, Annie O’Sullivan, a 32-year-old realtor, had three goals—sell a house, forget about a recent argument with her mother, and be on time for dinner with her ever-patient boyfriend. The open house is slow, but when her last visitor pulls up in a van as she's about to leave, Annie thinks it just might be her lucky day after all. My review: Loved it! This would make a great book club read. Lots to think about. The book is told through the main character's therapy sessions (instead of chapters) which I loved. Although sometimes hard to get through because of the horrific events, the first part of the book is better. The end dragged a bit for me. There are twists at the end - don't want to give anything away, but some of the ending seemed a little far-fetched, but maybe not, we do live in a sick world. 5 out of 5 stars. Immediately after reading, Still Missing, the Jaycee Dugard memoir, A Stolen Life was released and all over the media so I had to read it. Even though Still Missing is fiction, there are many similarities in the two books. Jaycee was only eleven years old when she was kidnapped by Phillip and Nancy Garrido. Everything she went through is truly horrific and sad during her eighteen years being held captive. While a lot of the book is literally hard to imagine and wrap your brain around, this is an amazing story about what a human being can endure. Even more amazing is how well Jaycee seems to be doing today. This book makes you thankful for what you have and appreciate every single day. 5 out of 5 stars. 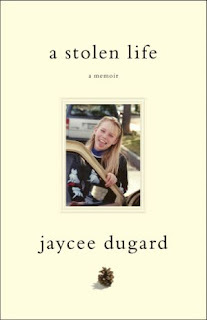 A Stolen Life by Jaycee Dugard was emotional and inspirational. Her descriptions of the physical and mental abuse she went through for eighteen years were hard to read at some points, but her accounts were real and enticing to read. I constantly found myself anticipating her next move or Phillip Garido's ( her abductor) next attack. Her strength and courage throughout her captivity was remarkable. I recommend this book to anyone who is looking for motivation in their life or simply a novel full of emotion.